A traumatic brain injury (TBI), as the name suggests, is a physical injury to the brain that often accompanies a blow to the head. It can happen at any time, and the level of impact isn’t necessarily indicative of how bad the injury is. This type of injury is a frequent issue that affects veterans in each branch of the service. Unfortunately, a traumatic brain injury can be difficult to diagnose because the symptoms are not consistent and tend to vary due to circumstances. For example, these injuries can lead to temporary or permanent impairment of your cognitive, physical, or psychosocial functions. Also, the patient may have many symptoms consistent with TBI, or just one. Therefore, if you have had a head injury, it’s important to inform your doctor of any recurring problems that may be associated with TBI. This can help ensure that your injury does not get passed over. Have You Been Diagnosed With TBI? Some of the most common causes of TBI are: motor vehicle accidents, falls, and assaults. If you have suffered a blow to the head under any circumstances, you are at risk of TBI. Reserve service members and active duty service members are at an increased risk of a this injury with their increased exposure to mortar rounds, land mines, rocket propelled grenades and IEDs and other combat related activity. In order to make a TBI diagnosis, however, your doctor will probably run some tests, such as a CAT scan or an MRI — possibly both. Many people do not even realize they have sustained a TBI until it has been diagnosed by their doctor. If you have suffered a head injury, and think you may have TBI, the best thing to do is to inform your doctor of all symptoms you experience and how often they occur; keeping a written log or journal may help. This information will help the medical professional to diagnose what type of TBI you may have and what treatment is best. While TBI is most common with physical blows to the head, it can be associated with any of the following: open head injuries, closed head injuries, deceleration injuries, toxic chemical exposure, tumors, infections, stroke, or birth injuries. Unfortunately, with head injuries — especially TBI — the consequence of two similar injuries may be very different. Symptoms may appear immediately, or take days, weeks or months to manifest. If you have any questions about a head injury, it is best to seek a professional opinion. Modern medical advances mean that there are many solutions readily available, and even permanent effects from TBI can be manageable. If there is any question of a TBI being present, it is best to seek professional help and find out for certain. If any of these symptoms are constant or recurring they should be medically evaluated. It’s important to know that a mild TBI is sometimes overlooked by medical professionals if they are focused on saving the patient’s life. In fact, you may find yourself wondering why you are still feeling poorly, even though you were under a doctor’s care immediately following your injuries. That may be because there are times that the symptoms are overlooked because there are more pressing medical needs. The truth is that checking for a TBI may not be standard procedure in some emergency situations — like in a military combat zone where there are often multiple injuries or casualties to care for and limited personnel or resources. That’s why you should inform your doctor if symptoms of a TBI recur or become worse. Moderate head injuries include a loss of consciousness that lasts between 20 minutes and 6 hours and land on the Glasgow Coma Scale between 9 and 12. Severe TBI characteristics include losing consciousness for more than 6 hours with a Glasgow Coma Scale Rating between 3 and 8. The long term impact of these more serious head injuries depends on many factors, including: initial injury severity, rate of recovery, completeness of physical recovery, range of affected and unaffected functions, and the availability of recovery resources. If you think that you or someone you know may be suffering from an undiagnosed TBI, you should seek medical attention as soon as possible. The longer this type of injury goes undiagnosed, the more likely it is that something could compound the original problem. No matter how mild or severe the diagnosed TBI is, a trained service dog may be able to provide relief in many ways. These dogs can help comfort the veteran and serve as a source of calming companionship. 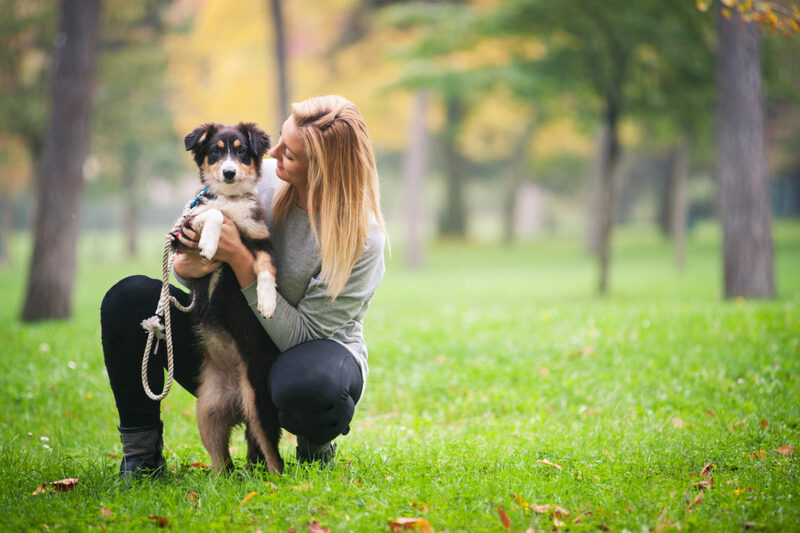 Also, a service dog can help provide love and companionship, and their special training usually makes the transition from training facility to your home very easy. A service dog, by definition, is any dog that has been specially trained to perform tasks for the benefit of a person who has a physical or mental disability. Let’s take a quick look at some common types of service dogs. Mobility dogs can perform specific tasks and provide balance and support in order to help improve a person’s mobility. Medical alert dogs receive special training that makes them sensitive to the physical manifestations of medical conditions like epilepsy, cardiac conditions, and diabetes. Guide dogs — commonly called seeing eye dogs — and hearing dogs alert their owners of important information that they aren’t able to sense themselves. Psychiatric service dogs can help people who have mental health disorders like PTSD, schizophrenia, depression, panic attacks, or anxiety. Service dogs can improve the lives of men, women and children impacted by a traumatic brain injury. Generally speaking, the benefits provided by these animals is well worth the cost of acquiring and caring for the animal. Special care is taken to place the correct animal with the individual and family based on their diagnosis. For example, these animals can be carefully picked and rigorously trained for the specific needs of a person with a TBI. The individual may have to spend time with one or several animals to find the best fit. Finding the right animal is important because they will be a 24/7 companion. A person’s specific diagnosis can help find and place the right animal in their care. The American Disabilities Act (ADA) and the Fair Housing Act ensures protection for service dogs that allows them to accompany their companion in an airplane for free and to live in all housing, regardless of existing pet policies. This protection is provided in all 50 states. A service animal is one way to help in the everyday struggle associated with a diagnosis of a TBI. The reassurance of unconditional love and joy these animals can provide, along with help for everyday tasks is worth considering. The struggle of a TBI is real, and our hope is that with this information there will be more awareness and more solutions for those that have diligently served our country. 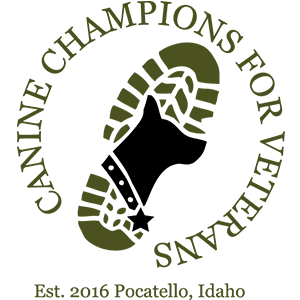 Veterans in need of a trained canine companion may be able to work with Canine Companions for Veterans to get the help they need.